La fiesta que os traigo hoy es de lo más dulce!! Inspirada en la miel y sus inseparables abejitas, es perfecta tanto para una fiesta infantil como para decorar una mesa de dulces en vuestra boda, puesto que el color predominante es el blanco. Today I show you a sweet party!! 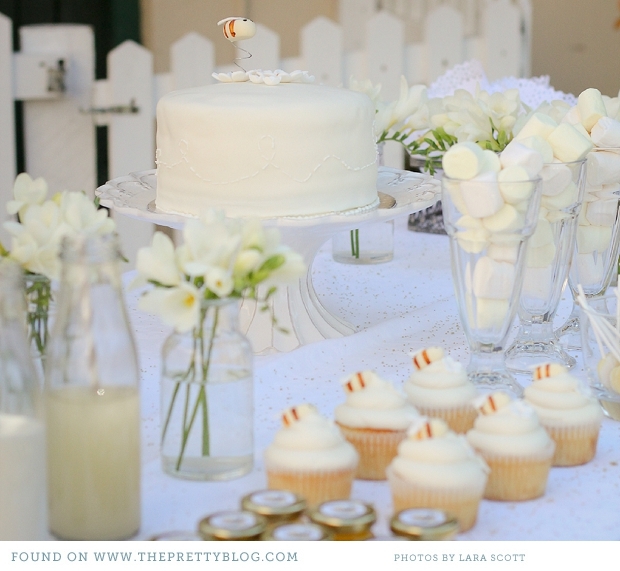 With honey and its little friends the bees, is perfect not only for children’s parties but also for weddings sweet table, because it’s all decorated in white. I definitely love it!! All the elements that we used should be in white, popcorn, cupcakes, the cake, marshmallows… anything that can come to your mind!! And as the final decoration, little sweet bees!! ¿Os ha gustado?? ¿Os animáis a una fiesta de este estilo?? Ya sabéis que podéis contar conmigo para la organización y decoración de cualquier evento que se os aproxime!! Did you like it?? Will you do a party like this?? Remember that you can contact me for the decoration and organization of any of your coming events! page, I truly like your way of blogging. I bookmarked it to my bookmark site list and will be checking back soon. I visited multiple web sites but the audio feature for audio songs present at this web site is truly superb. This put up truly made my day. You cann't believe just how a lot time I had spent for this information! Thanks! I tend not to leave a comment, but after browsing through a few of the remarks on this page "Abejas y miel para tu fiesta!! / Bees and honey for your party". it and for my part suggest to my friends. I'm confident they will be benefited from this site. compatibility issues. When I look at your website in Safari, it looks fine however when opening in I.
E., it's got some overlapping issues. I simply wanted to provide you with a quick heads up! Aside from that, great site! got here, certainly like what you're stating and the way wherein you say it. You are making it entertaining and you still care for to stay it wise. I can not wait to learn far more from you. That is really a terrific website.